Like I don't have enough going on... I'm really kind of starting to freak out about moving. There is so much to do, I have no idea where to start, blah blah blah, etc, and so forth. I don't want to get into that today. But in the midst of all the craziness, I went and got more birds. 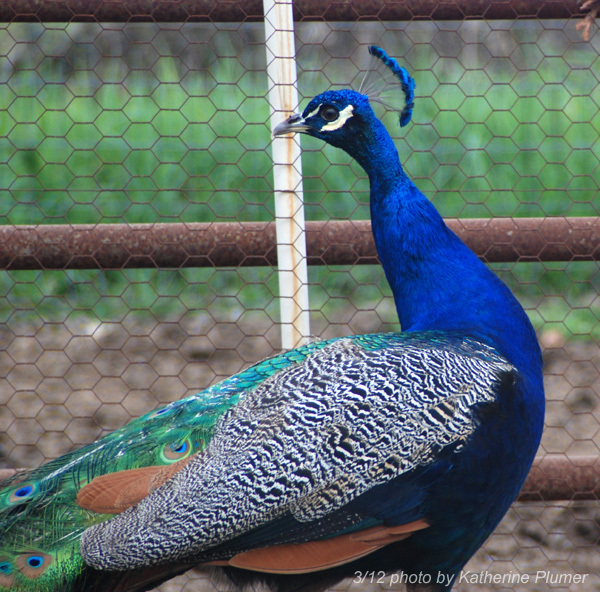 Peafowl. Am I insane?!?! It's quite possible, I admit it. 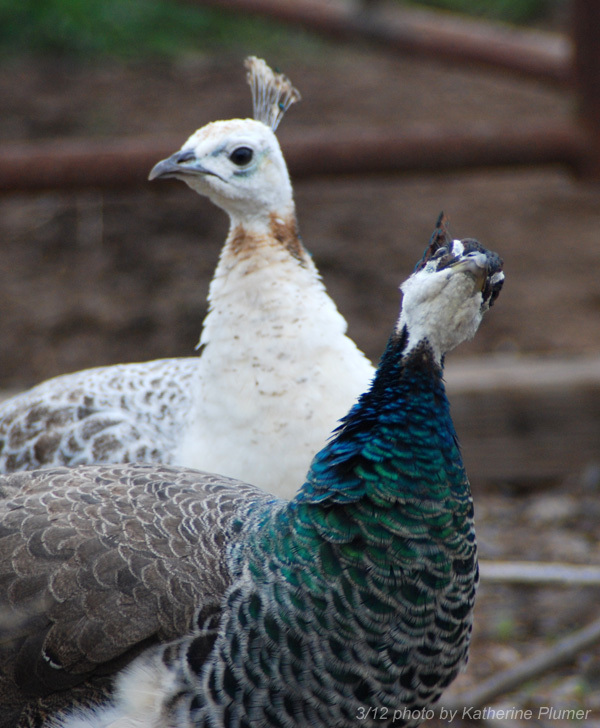 Friends of mine who live about a half mile down the road have a pretty large flock of peafowl. I've house-sat on numerous occasions, and became increasingly charmed by these birds. I know they're loud. Really, I know. But I got to thinking that having a few when I move might be kind of fun. They'd have plenty of room to roam, trees to sleep in at night, they'd keep the grasshopper population down, they're supposed to be pretty wicked snake-hunters, and well, they're really pretty! 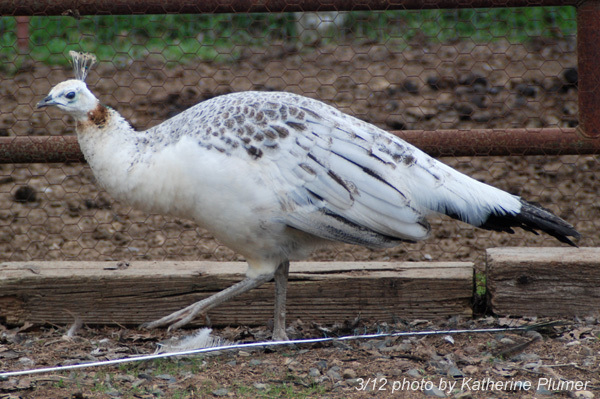 And besides, I'm moving to a place where there are horses, cows, dogs, chickens, geese, ducks, turkeys, guinea fowl... really what's another loud animal? So when my neighbors offered me a deal on a trio if I would help them sell off a bunch of their other ones, I agreed to make that trade. 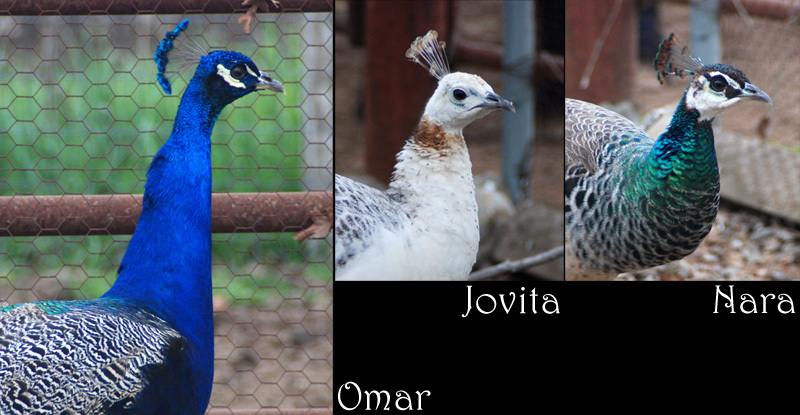 I took photos, posted ads, and the within a few days the birds were nearly all sold. I wasn't planning on getting mine til I was moved and settled in, like maybe in May, but they asked if I'd take them now so that they wouldn't accidentally sell the ones I wanted. 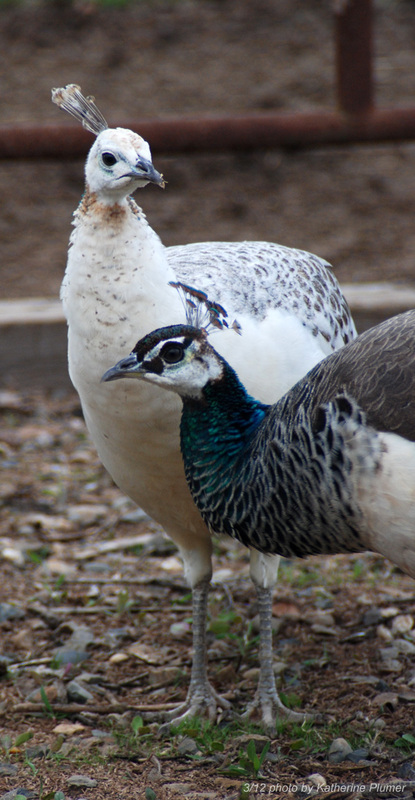 Anyway, I now have peafowl. My brother says this cements my white trash reputation. Here I am sticking my tongue out at him: :-P I really hope I haven't made some big mistake, I hope they don't become totally obnoxious. We had them when we were kids. They were great. Only a few loud noises every once in a while. They were great for intruder alerts too! 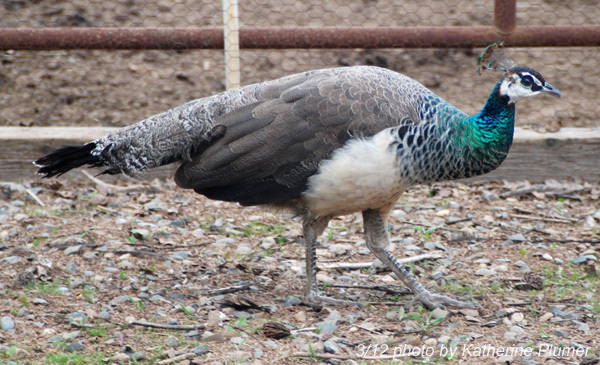 I so love peacocks. You'll take thousands of pictures just trying to get the colors right. I'm not sure a picture ever does them justice, but it's fun to try. I love that last photo! What was she looking at? -BMc.